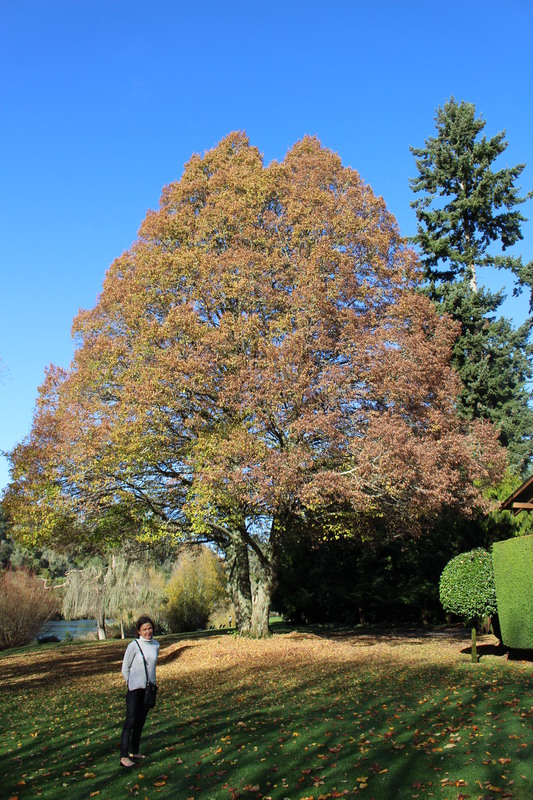 From the moment we drove through the gates of Huka Lodge, admiring the rows of autumn trees and the perfectly manicured gardens, we were wowed. Two men opened our car doors and took our bags to our room, while the manager welcomed us inside and gave us a glass of champagne each. 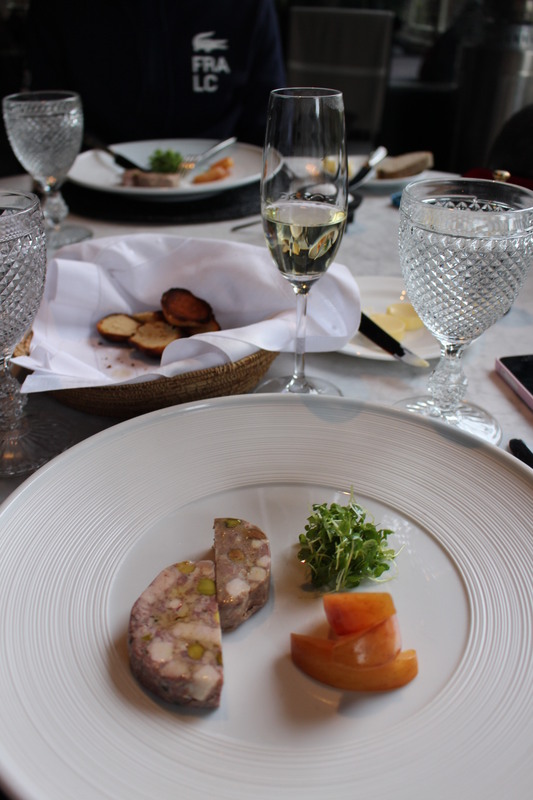 He took us on a tour around the main lodge where he explained the history, the design and also showed us their many dining areas, for example the room where the Queen dined to the wine cellar room where you can dine surrounded by 6,000 bottles of wine. 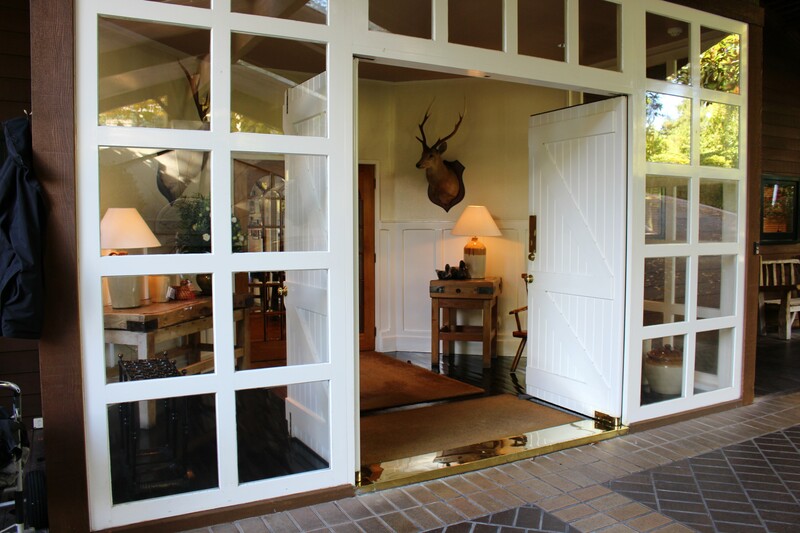 The lodge was charming, the ambience was warm and we were starting to feel right at home. 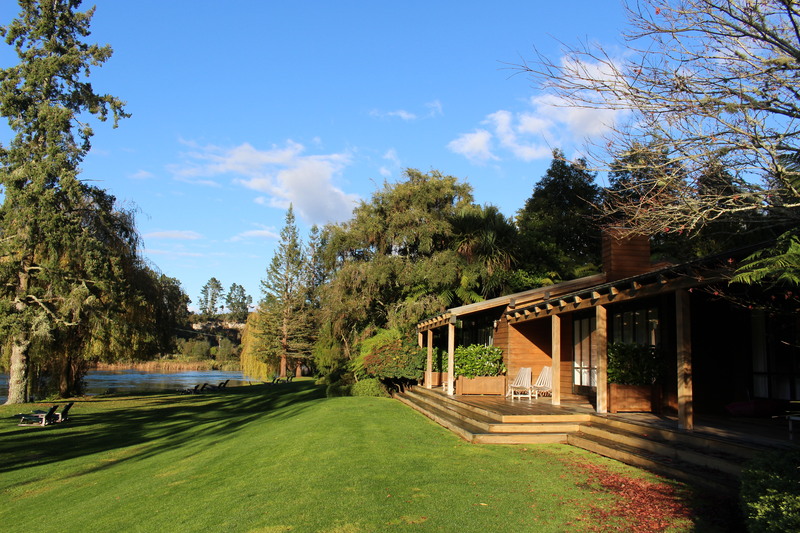 We were led along a path lined by native bush to our room (which is in fact a mini individual lodge) and it is right on the Waikato River (just step through your French doors, onto the deck, across the lush grass and you will be at the riverbank). Our room was spacious, light and stylish, still keeping to the lodge theme. 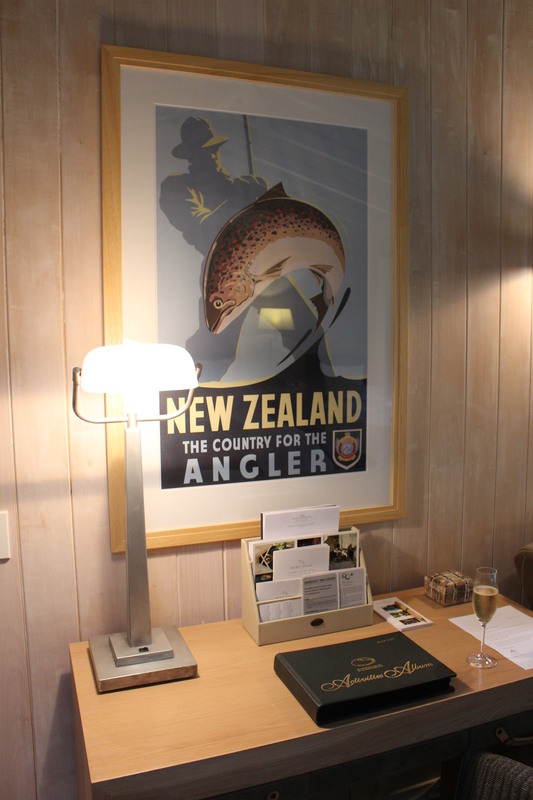 For example, beautiful wooden furniture, the green and brown tones used in the decoration and the Huka Lodge trout emblem embroidered on the pillows, bathrobes and slippers. 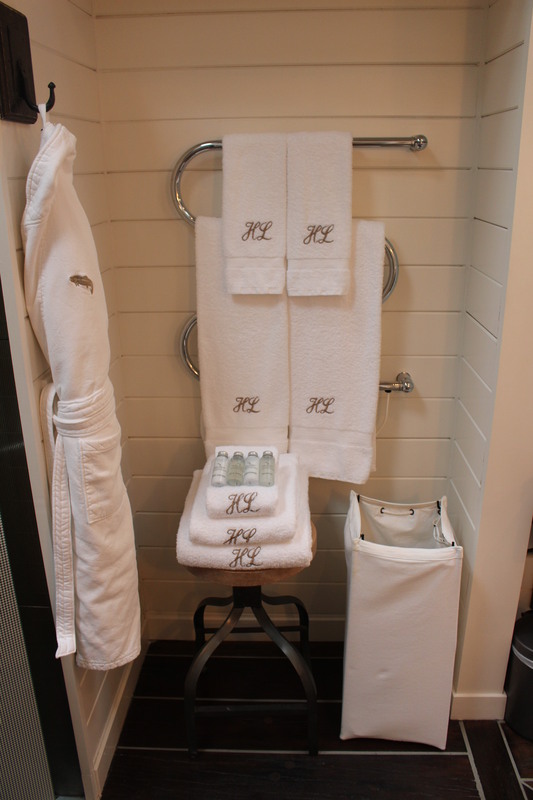 Complimentary food and drink and Wi-Fi are also available in all the rooms. 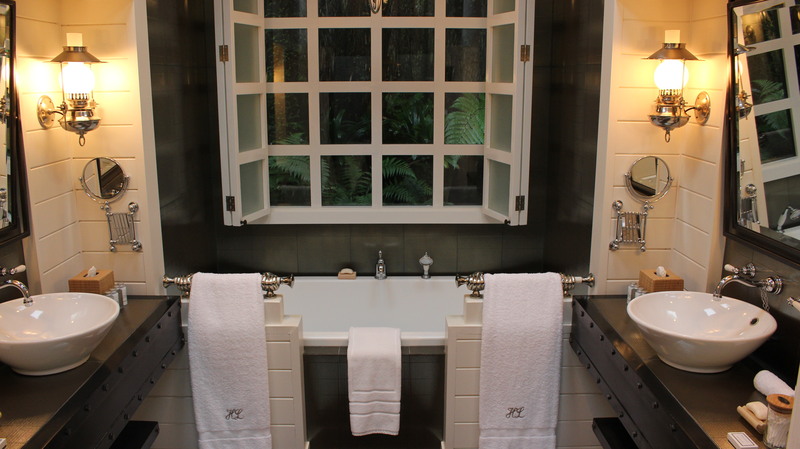 The bathrooms were also elegant – heated floors, a large and deep bath tub, double sinks and various luxury amenities were provided. 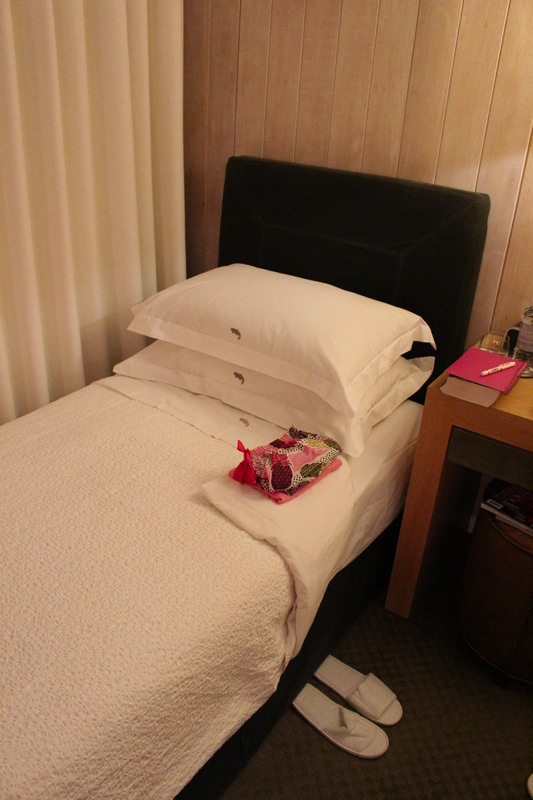 However, the most special thing about our room was when we arrived back from dinner. Our beds had been turned down, water and glasses laid out for each of us, my pyjamas were folded and best of all, we had a hot water bottle each, warming each of our beds. 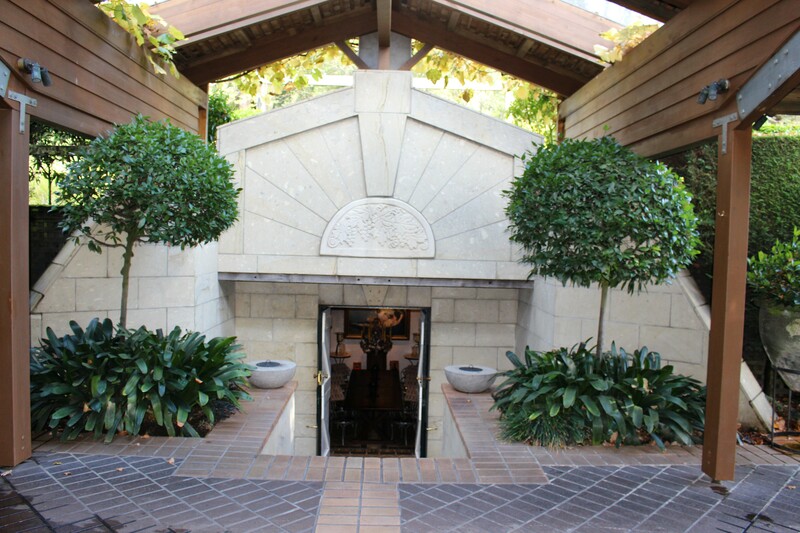 After the tour, we were seated outside in a secluded courtyard for lunch. Even though it was pouring with rain and a bit cold, the fire was blazing and blankets and heaters were provided. We had three courses – the stand out dishes being the pork and pistachio pate with mini brioches (the pate was moorish and the mini brioches were still warm out of oven), the spiced kumara soup with buffalo yoghurt (very warming on that particular cold day), the Southland lamb rump with Israeli couscous (the lamb was very succulent) and last but not least, the perfectly cooked fish with oversized prawns and crispy olives. 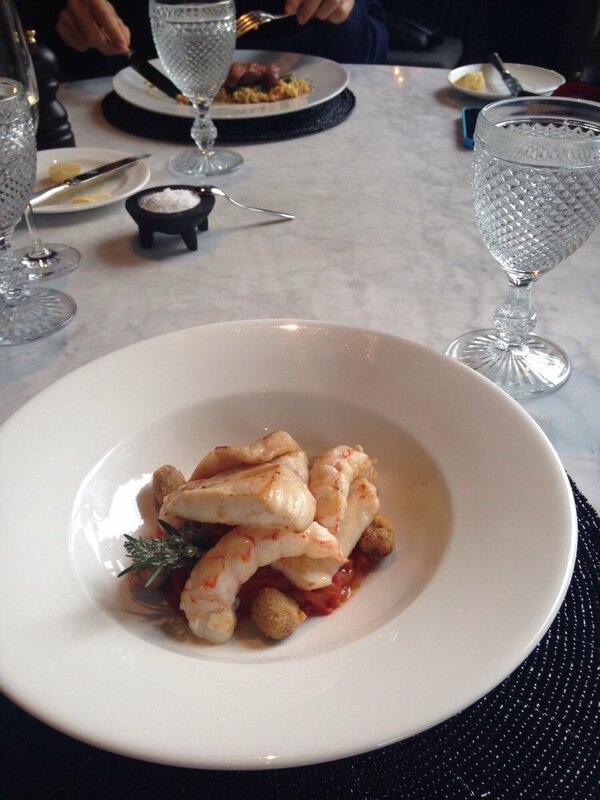 This was my favourite dish during our stay at Huka Lodge. 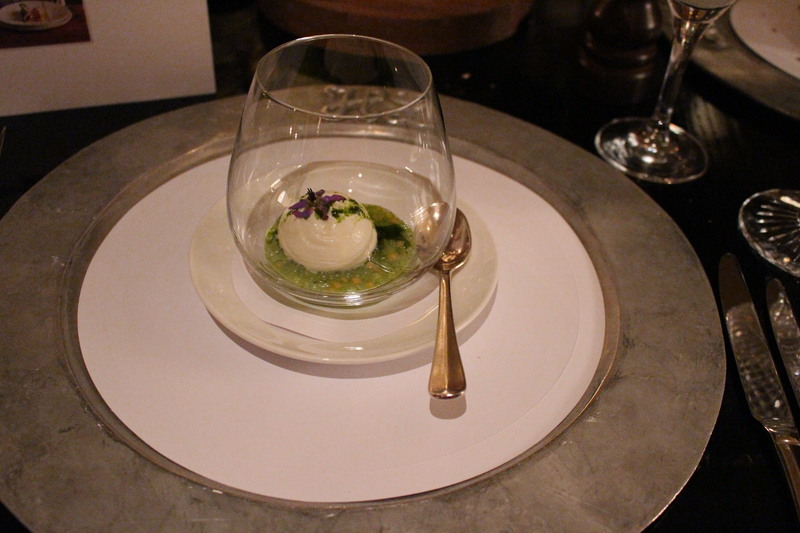 We also shared a cheese board and a dessert of Valrhona chocolate ganache with white chocolate mousse and mint sorbet. 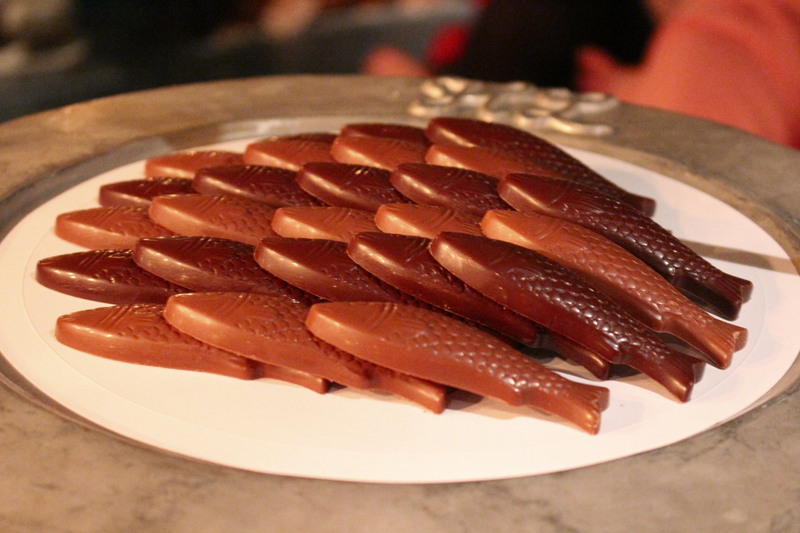 This was well balanced and would be loved by anyone with a sweet tooth. 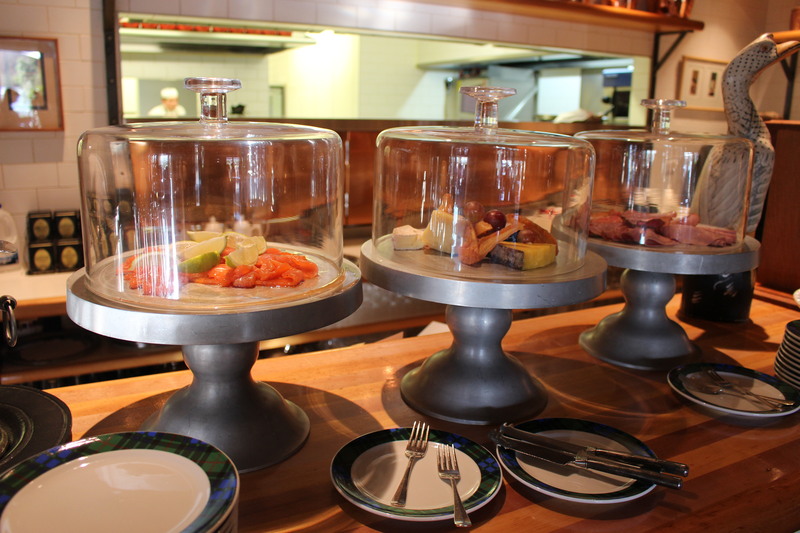 Lunch could not be faulted, the food delicious and the service flawless. Special mention to Dennis and Barbara who were friendly, informative and provided us with lots of humour! After lunch, we walked to Huka Falls, which is conveniently located just down the road (about a 10 minute brisk walk). 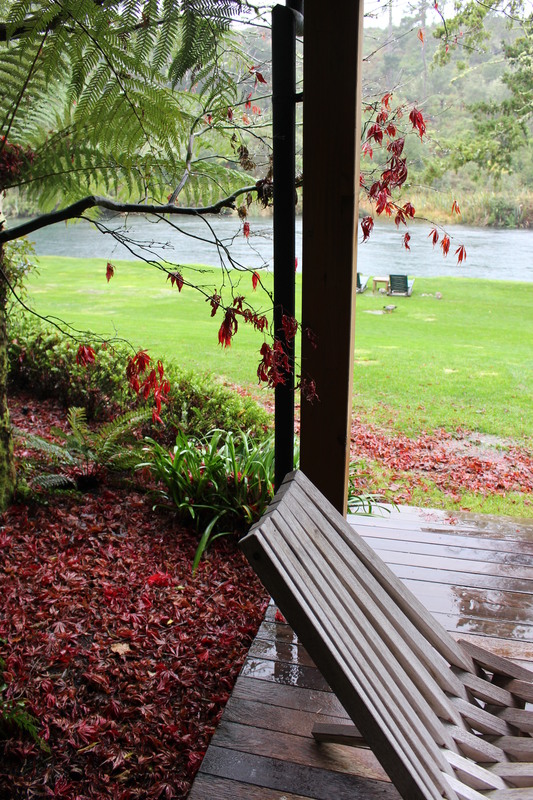 Having Huka Falls right at your doorstep is a real bonus because it is a must-do while in Taupo. You can do many bushwalks around the Falls and there are cycle tracks too. 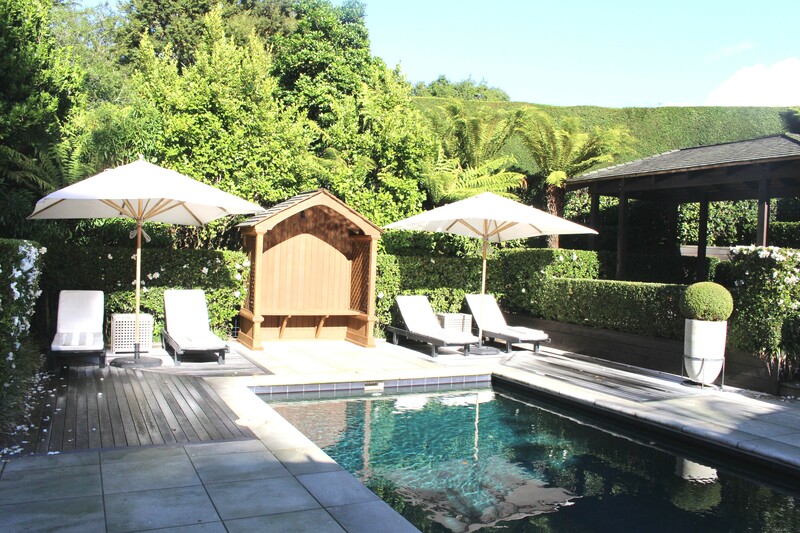 However, Huka Lodge offers many facilities on-site, including tennis, petanque, croquet, use of mountain bikes, massage and beauty treatments and a lovely spacious pool area with lounging chairs, complete with two accompanying private spa pools (which were very relaxing and made us feel like we were in Bali). 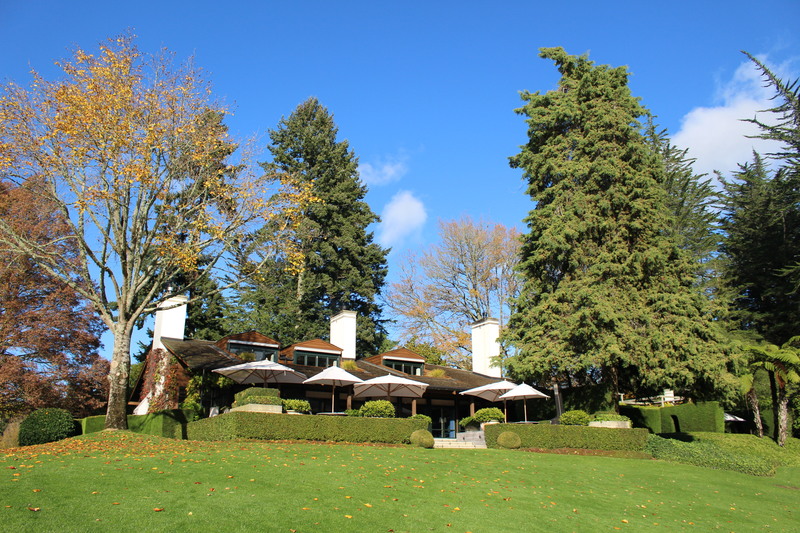 Furthermore, Huka Lodge also offer a range of ‘experiences’ from golf, fishing and horse riding to hiking, skydiving and helicopter rides. Dinner was an elaborate night and one I will never forget. 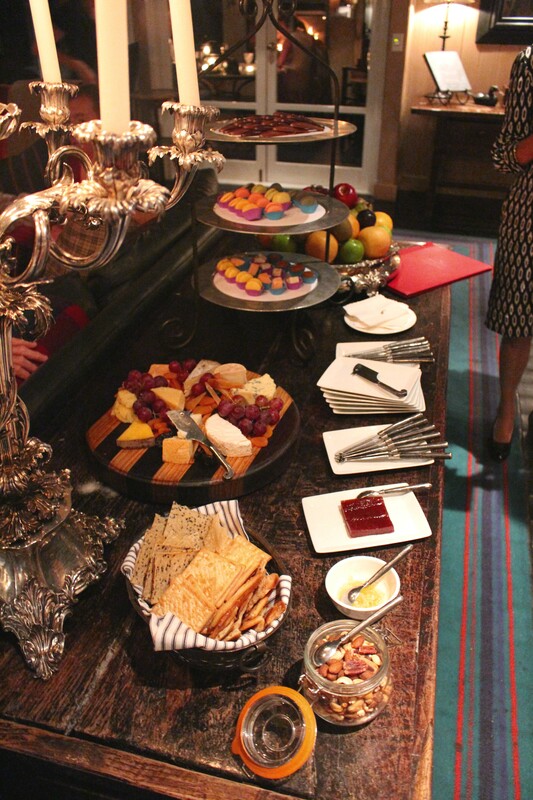 At 6.30pm, all the guests met in the main lodge room for drinks and canapés. The fire was blazing and it was very comfortable. We had the pleasure of meeting Donald, the Scottish piper who played the pipes passionately – a lovely accompaniment with our pre-dinner drinks. 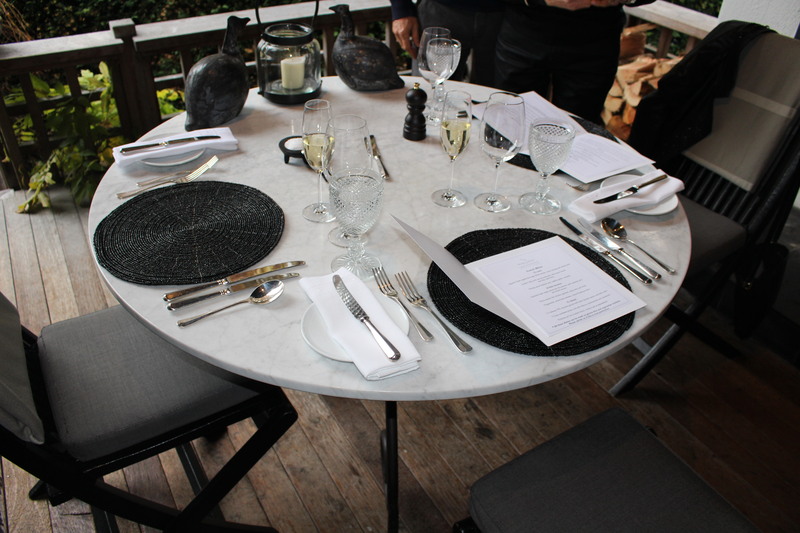 We were seated in many different dining areas – all cosy and inviting, with beautifully set tables! The five course dinner did not disappoint. Our favourite dishes were the roasted scallops – perfectly cooked and the Wagyu beef with miso hollandaise – tender and delicious! Also, the Bombe Alaska with peach sorbet and lemon parfait – sweet, refreshing and extremely citrusy – divine! 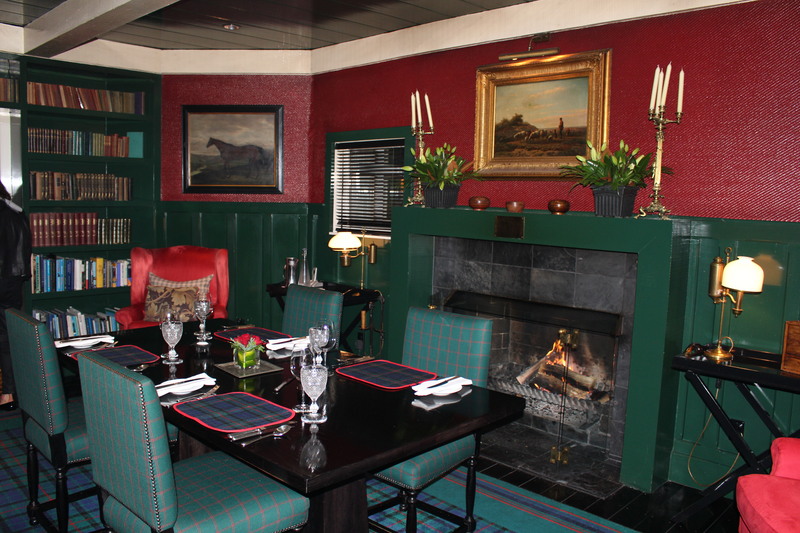 After dinner, petit fours, cheeses, fruits, coffee and tea were offered along with top shelf cognacs and whiskeys, in the main lodge room by the fire which was very relaxing! The next morning we returned to the main lodge for breakfast. It was like all my lavish foodie dreams had come true – a table laden with baskets of fruit and pastries, cheeses and breads, plus a high top bench complete with champagne, smoked salmon, cold meats, cereals and homemade muesli, fruit galore (including the largest and sweetest feijoas I have ever tasted), yoghurts and parfaits. And if that does not sound satisfying, they also have a ‘hot menu’ to order from, with dishes such as traditional porridge with the works, various cooked breakfasts and pancakes. While I would usually opt for something sweet, I couldn’t go past their ‘Country Style Breakfast’ consisting of two eggs cooked ‘your way’, sourdough bread, roasted tomatoes, Portobello mushrooms, bacon and the most delicious sausages (which I am sad to say you will only find in Taupo! 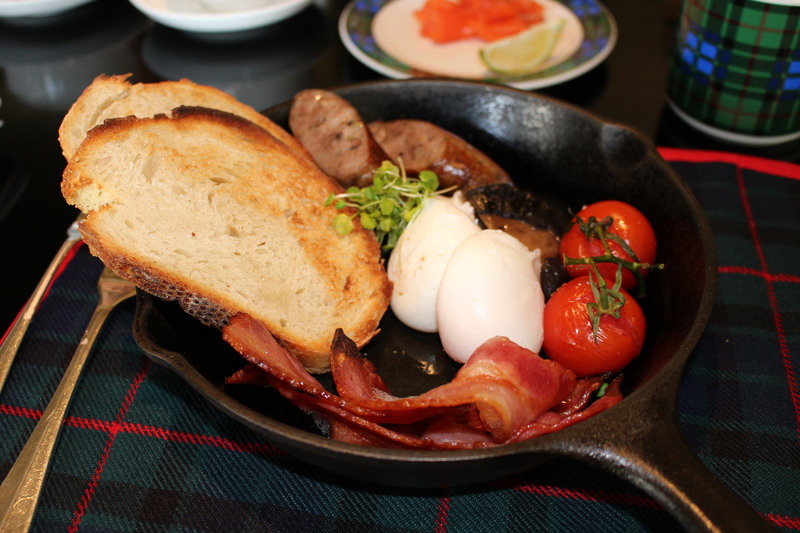 ), all served in a mini cast iron pan – true lodge style! The eggs were poached and runny, just how I like them. The bacon was crisp and the bread melt in your mouth. It is definitely one of the best breakfasts I have had in a long time! 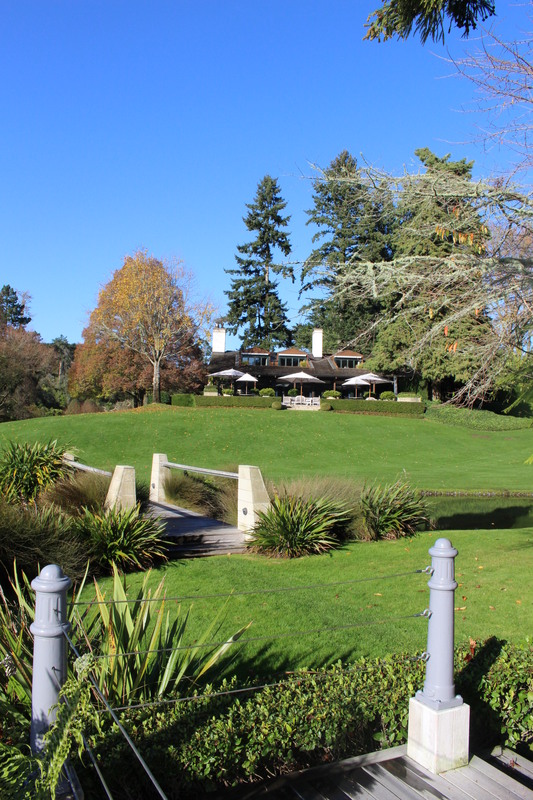 If you are looking for the perfect weekend, Huka Lodge is it. 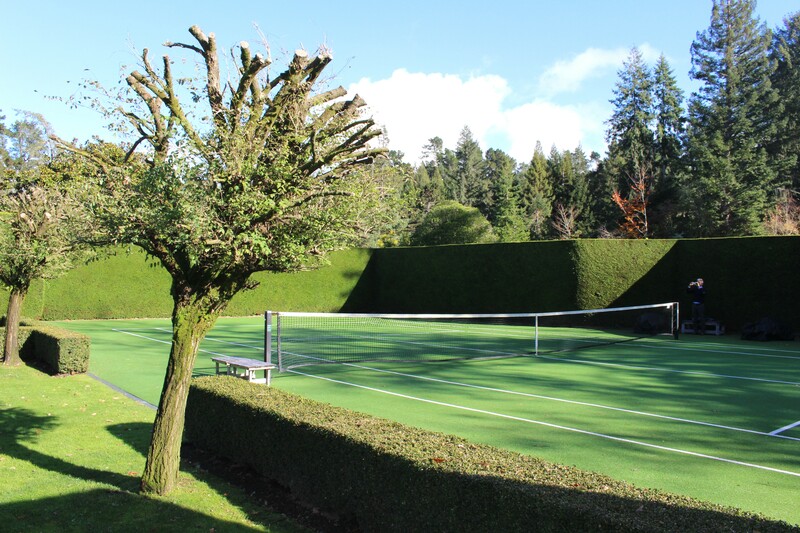 Beautiful grounds, sumptuous accommodation with every luxury, complete relaxation or facilities for various sports, world class dining and impeccable service. Thank you to all the friendly and helpful staff for making our 24 hours truly memorable in every way. Beautiful photos, Georgie! 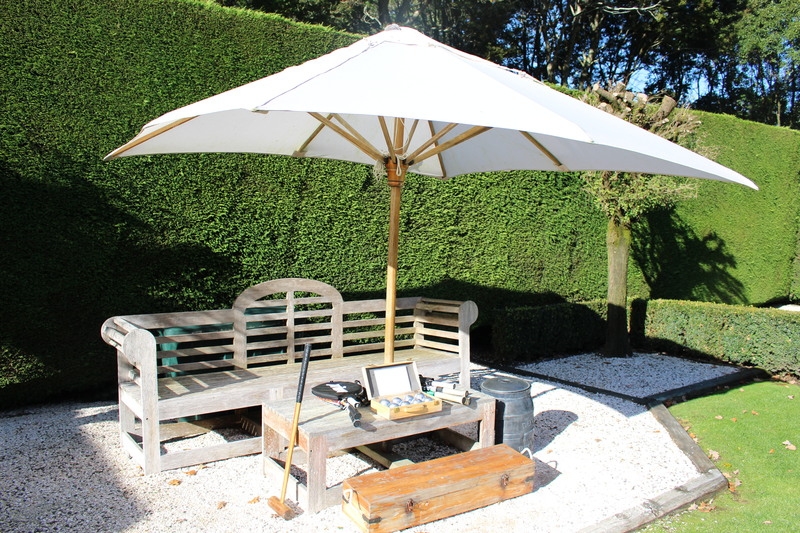 What a great place to relax! 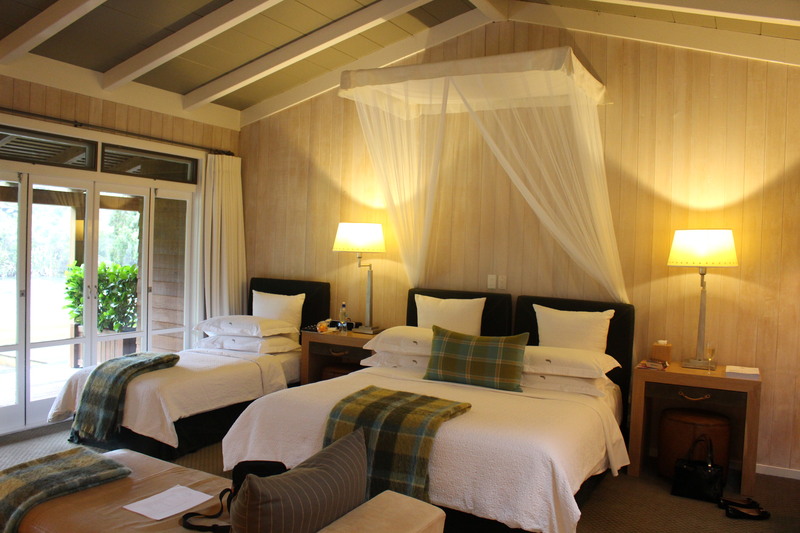 I’ve wanted to stay here ever since I visited the Huka Falls for the first time. It looks so lovely!